Pay attention to eat healthy during Ramadan to prevent weight gain and health problems. The Ramadan Diet Programme prepared by specialist dietitians of DiyetLAB will help you to spend a healthy and fit Ramadan. What will this programme will provide you? ·It will help to fasten your metabolism during Ramadan. ·It will balance your blood sugar. ·It will prevent digestion problems. ·It will prevent cholesterol and blood lipit increase. ·It will help you to lose weight. 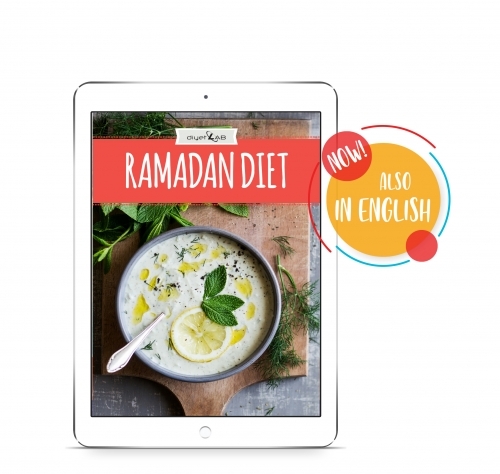 What is in Ramadan Diet E-Book? For whom this book is not suitable? ·The people who take pills for diabetes, cholesterol, blood pressure and blood thinners. ·Children under 16 years old. How to reach your e-book after purchasing? If you buy it by money transfer,after sending your bank receipt to aferindiyet@gmail.com, do member login and from order follow-up click pdf to download.